The Tremadog area is particularly renowned for its popular 'rain shadow' crags cradling the village named after the famous Victorian engineer William Madocks, who built the sea wall that drained the valley floor in 1811. The popularity of these fine crags, with their sunny disposition and striking lines on golden dolerite, has understandably eclipsed the wide variety of outlying crags, but there are many gems to be discovered throughout this region by discerning climbers who are willing to walk a little further (or a bit further again) from the road. 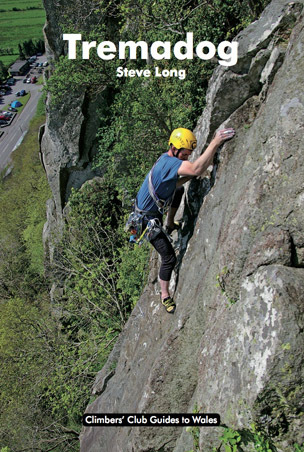 The new definitive Tremadog guidebook is a complete modern revision incorporating a number of new and colourful aids to help climbers select their climbing adventures. All this bringing new life to this important, popular, and exciting area within one of the world's best traditional climbing venues - Snowdonia. * 39 crags in nine distinct areas, including the ever popular main Tremadog cliffs; Craig y Gesail, Craig y Castell, Craig Pant Ifan, and Craig Bwlch y Moch. * 376 pages describing over 847 climbs; more than 1300 pitches (over 28.5km of climbing). * 114 colour photo-topos. * 84 action photographs. * 30 photoplans. * Full detailed colour mapping coverage of all crags documented in the guide. * To be launched soon - Complementary online database of routes and first ascent details. * Graded list of climbs on Castell, Pant Ifan, and Bwlch y Moch.